The Chooze story started with a toddler named Ayla, who had a unique desire to express herself thru wardrobe choices putting together mismatched styles to build her collections of outfits. 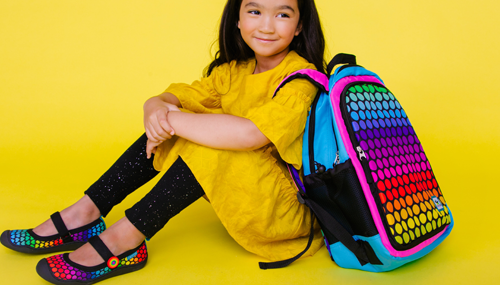 Her interior designer mother, Sharon, setout to create a direct to consumer brand dedicated to mismatched shoes to give children the ability to be a bit different and create a difference in the world. The Chooze brand’s mantra was to help children grow with independence, confidence and creativity. Chooze needed to connect their internal ERP system to their Shopify Store to sync inventory and orders to and from their ERP. Chooze needed to connect their Shopify Store to their proprietary internal ERP system to sync inventory, and product catalog to the store. Orders would also need to be integrated within the ERP system. ChannelApe quickly realized that Chooze had grow to the point that it made sense to upgrade their Shopify site to Shopify Plus to take advantage of increased transaction speeds, dedicated support and API call increases allowing ChannelApe to perform updates much faster and leverage the full capabilities of both Shopify Plus and ChannelApe. After upgrading to Shopify Plus, ChannelApe got right to work utilizing their pre-built Shopify Plus Connector to develop a custom interface with Chooze’s internal ERP. Since half of the work was already pre-built, ChannelApe was able to complete the work in a short time frame and have Chooze ready for the busy back to school selling season.